SUWANEE, Ga., April 2, 2019 /PRNewswire/ -- ARRIS International plc (NASDAQ: ARRS) today announced that AMC Networks – the entertainment company known for its groundbreaking and celebrated original content and award-winning brands AMC, BBC AMERICA, IFC, SundanceTV, and WE tv – has selected the ARRIS ME-7000 and DSR-7400 video compression and transcoding solutions. They will serve as the foundation for AMC Networks' satellite distribution architecture of the future. "As a leading creator of high-quality, award-winning content, we're investing in a new satellite network to showcase our incredible library of content and deliver it to our millions of subscribers," said Steve Pontillo, EVP & CTO, Technology and Operations, AMC Networks. "We selected ARRIS to power our network of the future because they have deep technical expertise in this space and an intimate understanding of our operations. Together, we're able to take advantage of the latest technology to make our existing network more efficient as we transition to delivering tomorrow's video experiences." "Our work with AMC Networks extends our global leadership in advanced video network system deployments," said Dan Whalen, President, Network & Cloud, ARRIS. "This partnership leverages our expertise in integrating the latest bandwidth efficiencies and compression technologies to support AMC Networks' vision of the future. And, our work together highlights the capabilities of our ME-7000 and DSR-7400 in bridging the gap between today's networks and the next era of entertainment services." Known for its groundbreaking and celebrated original content, AMC Networks is the company behind the award-winning brands AMC, BBC AMERICA, IFC, SundanceTV, WE tv, and IFC Films. Its diverse line-up of popular and critically-acclaimed series and independent films include Killing Eve, Better Call Saul and The Walking Dead, which has been the #1 show on cable television for nine consecutive years, as well as Portlandia, Brockmire, Love After Lockup, and the films Boyhood, Death of Stalin, and many more. Its original series Mad Men and Breaking Bad redefined television and are widely recognized as being among the most influential and acclaimed shows in the history of TV. The Company also operates AMC Studios, its production business; AMC Networks International, its international programming business; the subscription streaming services Shudder and Sundance Now; RLJ Entertainment, a content distribution company that includes the subscription streaming services Acorn TV and Urban Movie Channel; and Levity Entertainment Group, the Company's production services and comedy venues business. ARRIS Professional Services helps customers plan, design, implement and operate their networks and business processes. Services include installation of network elements; operational, technology and strategic consulting; staff augmentation; strategic outsourcing; and defining and integrating complex, multi-vendor solutions. 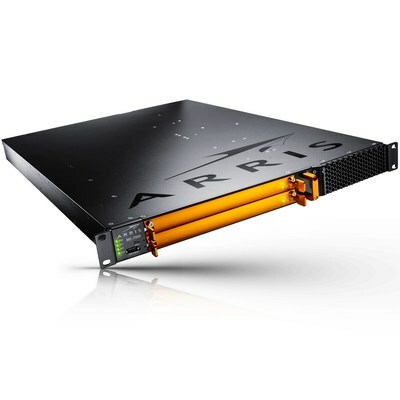 ARRIS International plc (NASDAQ: ARRS) is powering a smart, connected world. The company's leading hardware, software, and services transform the way that people and businesses stay informed, entertained and connected. For more information, visit www.arris.com. ARRIS and the ARRIS logo are trademarks of ARRIS International plc and/or its affiliates. All other marks are the property of their respective owners. © 2019 ARRIS Enterprises LLC. All rights reserved.